Term: 2 years 1 Elected Stakeholder who lives, works, owns property or declares a stake in the neighborhood and affirms community interest for it and who is 18 years old (minimum) on election day. Stakeholders who live, work, own property or declare a stake in the neighborhood and affirm community interest for it and who are 16 years old (minimum) on election day. 1 Elected Stakeholder who lives, works, owns property or declares a stake in the neighborhood and affirms a community interest for it and who is 18 years old (minimum) on election day. Stakeholders who live, work, own property or declare a stake in the neighborhood and affirm a community interest for it and who are 16 years old (minimum) on election day. Marlene Savage – I have been living in Del Rey since 2003 and have been an active member of the Neighborhood Council system since 2005. I have previously served as first Vice President and would at this time would like to serve my community again. It takes a great deal of dedication and time of which I have along with the many years of experience acquired. I would like to have our council one of the best in the city of the 95 neighborhood councils. Ellie Bertwell – I’m honored to be on the DRNC Board and hope to have your support for a second term. ***I’m an active member of the Outreach and Del Rey Day Committees, which along with very dedicated community members produced a fun, engaging Family Wellness festival. ***I’m informed. I study the issues, ask questions, listen to stakeholders and make decisions that will benefit the community. ***I’m a strong voice for Del Rey and committed to making Del Rey a more sustainable and livable community. As the delegate to the Westside Regional Alliance of Councils Land Use Committee, I bring broader attention to issues facing Del Rey and bring regional issues to the the DRNC. On my initiative, the Board sent a position statement to the Mayor and City Council supporting increased mass transit to LAX, a regional approach to air traffic and opposing expansion of the north runway. Richard Profumo – I live in the area. My grandson goes to school here. I care what happens to my neighbors and friends.Peace is possible. Lets all get together and enjoy this life while we can! 1 Elected Stakeholder who lives, works, owns property or declares a stake in the neighborhood and affirms community interest for it and who is 18 years old (minimum) on election day. Stakeholders who live, work, own property or declare a stake in the neighborhood and affirm community interest for it and who are 16 years old (minimum) on election day. Tanya Eve Franklin – I am interested in serving on the Del Rey Neighborhood Council because I’m excited about the opportunities for neighbors to connect with one another and to support local events and issues. As a former middle school teacher and current attorney residing in Del Rey, I’m most passionate about education and services for children and families. I hope to be able to hear from our community members and make meaningful contributions to the work of the DRNC. Mariana Aguilar – I would be honored and humbled to serve the Del Rey Neighborhood Council as the Communications Officer. Being a third grade teacher, I have experience communicating and strategizing with many different groups: students, parents, faculty and staff. 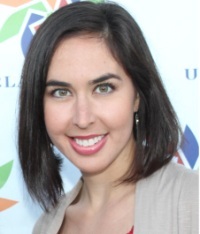 As a lifelong Angelino, USC alum and current LMU graduate student, I have developed partnerships with educational institutions, non-profits and the private sector. I am eager to bring these collaboration experiences and my communications skills to the Del Rey Neighborhood Council in order to make our community stronger. As the Communications Officer, I will expand educational resources to local schools, increase partnerships between non-profits and the private sector, and use social media to spotlight Del Rey as a diverse and prosperous neighborhood. Although I am new to the Del Rey community, I am eager to serve you, the key stakeholders in the community, and represent your voice to the LA City Council. 1 Elected Stakeholder who lives, works, owns property or declares a stake in the neighborhood and affirms community interest for it and who is 18 years old (minimum) on election day. Stakeholder who lives, works, owns property/business or other interest within Area A and who is 18 years or older. 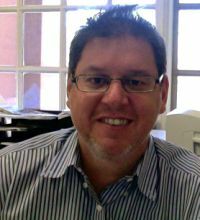 Mitchell Snary – I have been a resident/property owner in Del Rey for four years. I live in the rapidly developing Area A (Glencoe/Maxella). The spark of new development in my community in 2013 caused me to become actively involved in the City Planning of the community and I have attended and spoken at meetings/hearings at most levels of Land Planning process including a Land Planning Commission Hearing at City Hall. I want to continue to build upon the experience and relationships that I have gained over the past year to give our community a fair voice for the future of our neighborhoods. Term: 2 years 1 Elected Stakeholder who lives, works, owns property/business or other interest within Area A and who is 18 years or older. Stakeholder who lives, works, owns property/business or other interest within Area A and who is 18 years or older. 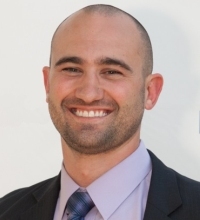 Matt Wersinger – I am a 2 1/2 year resident of Del Rey along with my wife and 1 year old daughter, and am currently board President of Gallery Lofts on Glencoe Ave. Professionally, I am a television commercial Production Manager. While I believe we live in one of the best neighborhoods of Los Angeles, I’d like to ensure that we do better when it comes to issues of development, transportation, and police relations. Specifically, I’d like to improve bicycle access around our neighborhood and into surrounding areas; I’d like to form a neighborhood cleanup to get rid of unsightly trash; I’m interested in working with the LAPD to ensure the safety of our busy streets; and while I believe that development is necessary I would like to carefully review each plan to be sure it fits into our community and that each developer adds to the community as a whole. Term: 2 years 1 Elected Stakeholder who lives, works, owns property/business or other interest within Area B and who is 18 years or older. Stakeholder who lives, works, owns property/business or other interest within Area B and who is 18 years or older. Peter Hsu -I am the current Area B director. I am an attorney and real estate investor. I have supported every proposed business and residential development project except for a homeless shelter.If I don’t know enough about an issue I abstain. Please check the minutes for my voting record. Term: 2 years 1 Elected Stakeholder who lives, works, owns property/business or other interest within Area C and who is 18 years or older. Stakeholder who lives, works, owns property/business or other interest within Area C and who is 18 years or older. Thom Taylor – As a resident of Del Rey since 2005, I’ve had the pleasure of building relationships with many neighbors and business owners who are proud to live in the area. My two children attend public school here (Goethe International) and we’ve been involved also with Short Elementary’s fund raising efforts over the years. My wife and I intend to live here until retirement (and perhaps beyond), and want to help the community in any manner possible so that it builds its positive image. I have worked the last 13 years in financial services (for Credit Suisse and Morgan Stanley) and previous to that as a writer in the entertainment business (with two published books on the film industry). My wife is a TV writer who also wants to contribute any additional energies to helping the community. With that goal in mind, I would love to join the DRNC. Term: 2 years 1 Elected Stakeholder who lives, works, owns property/business or other interest within Area D and who is 18 years or older. Stakeholder who lives, works, owns property/business or other interest within Area D and who is 18 years or older. 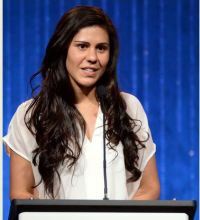 Lorena Alvarado – I was born, raised, live, work, and play in Del Rey. For the past 1 1/2 years, I have served as the Area “D” Director. During this time, I have learned so much about the happenings in my neighborhood and the many ways to improve our community. I am also part of the Education Committee – which helps bring Del Rey schools and neighbors together through events and forums. I love my diverse community and hope to continue to see/make positive changes for our future. Thank You. Term: 2 years 1 Elected Stakeholder who lives, works, owns property/business or other interest within Area E and who is 18 years or older. Stakeholder who lives, works, owns property/business or other interest within Area E and who is 18 years or older. 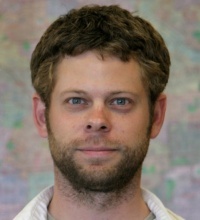 Wesley Farrow – I have proudly served as Treasurer of Del Rey Neighborhood Council over the past two years, and now I look forward to focusing more specifically on my home neighborhood of Area E.Connecting neighbors to one another and to the city is key to a healthy and vibrant Los Angeles. I will continue to pursue this goal throughout Del Rey as Area E Representative with my expertise and professional background in education, organizing, entrepreneurship, and administration.As Chair of the DRNC Education Committee I have seen us bring together students, parents, teachers, administrators, and neighbors to be more connected with the schools of Del Rey. Whether through sponsoring a community event or hosting a forum on local concerns, the Neighborhood Council will continue to be here on behalf of education and community in Del Rey.Please vote for me, Wesley Farrow, on May 18th.Thank you! Term: 2 years 1 Elected Stakeholder who lives, works, owns property/business or other interest within Area F and who is 18 years or older. Stakeholder who lives, works, owns property/business or other interest within Area F and who is 18 years or older. 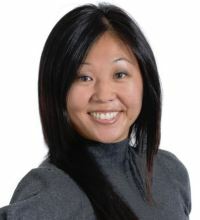 Mika Yagi Kim – I am a resident/property owner, business owner and a community interest stakeholderin Del Rey. I am committed to ensuring that our community has a high satisfactionwith life. I currently lead and manage the development of a county-wide happiness movement in Los Angeles to initiate the never attempted before effort to evalute the city’s overall satisfaction with life and hope that Del Rey will play a major role as a community to participate in this project. Previous to this role, I was a Sustainablity Specialist at Gensler, a global architecture and planning firm in Los Angeles, where I’ve provided consulting and techinical expertise to a wide range of projects across 9 regions and 46 offices. Please vote for me as the Area F Director on May 18th! Term: 2 years 1 Elected Stakeholder who lives, works, owns property/business or other interest within Area G and who is 18 years or older. Stakeholder who lives, works, owns property/business or other interest within Area G and who is 18 years or older. Term: 2 years 1 Elected Stakeholder who lives, works, owns property/business or other interest within Area H and who is 18 years or older. Stakeholder who lives, works, owns property/business or other interest within Area H and who is 18 years or older. 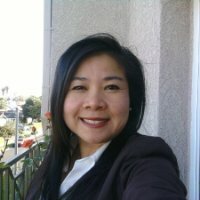 Meiwah Wong – I have been a resident in Del Rey Area H Director since 2000. I have served in this position since Oct 2013 and interested to continue in this role. It has been a joy to live in this neighborhood and it is important to me that Del Rey remain a safe and comfortable neighborhood for all residents. Having served on several boards in the past, it is important to me that not only the funds that are provided to the Del Rey Neighborhood Council by the City of LA are used responsibly but also that the residents (homeowners, renters and businesses) have a voice. Thank you for your consideration in me and I look forward to the opportunity of serving my area again in the next term 2014 – 2015.